The Illusionists - It is not very often that a Broadway show makes it way to Topeka!! When it does, I plan a group and make sure I have the best seats in the house! Twenty two friends and I made our way to TPAC after my family and some friends ate dinner at HHB BBQ. It was a great night! Anyone that says you need to leave Topeka to have fun isn't taking the time to enjoy what we have to offer!! Topeka Generosity Network - I was able to meet even more people that are dedicated to their business! They meet every Wednesday at 11:30, I am not sure where their new meeting place is though. I won't be able to go back until after tax season is over!! Topeka Growth Partners, they meet on Tuesday mornings at 9 am at 515 S Kansas Ave. There is not annual fee to join and it is a fun bunch of professionals. Another couple packed meetings. I love watching the attendance grow and meet new people. I really believe if you haven't joined any of these groups, you should! You can gain a lot from them! Not just new friends but knowledge, business contacts and support! ABWA KEEN - This month we met on Valentine's Day. Our speaker was Patti Bossert from Key Staffing and Premier Eomployment Solutions! AWE- This month we had three member spot lights. This is the time to talk about who you are so the group can get to know you better! ING Meeting - We meet every other Wednesday at various places in Topeka! This meeting is also growing in attendance. If you want to attend let me know, after tax season! ENGAGE Meeting - We meet every 1st and 3rd Thursdays at AJ Pizza! I was only able to attend one of these meetings due to tax season! I miss the crew but work out weighs networking! Wichita Trip: I love hanging out with my Wichita family and friends! I hate that life gets so busy and I don't have more time to be there! This year, I will change that! When I arrived I visited a new coffee/game shop to meet with the owner of Wichita.com, a website with the same idea as mine! I want to meet the people behind these projects. The difference is Wichita businesses finacially support this concept. Friday, Chad and I went out to eat a locally owned restaurant where the owner came to our table and we ended up with homemade chocolate cake! Then double feature movie night. Pitch Perfect, very large mixed drink at the next theatre and then The Greatest Showman! What a fun time! My meal was delicious and I would recommend them to anyone! If you do go, tell the owner, Kim from Topeka sent you! Saturday, Chad had to work so I kept busy by visiting my aunt and uncle in Newton and hanging out with my friends Greg and Marisa who also live in Newtown. We drove to Wichita for the home show. Then my cousin Chad and Tristan took me to a locally owned Italian restaurant in Newton. Another great place and if you ever find yourself in Newton, tell Rosie, I said hi!! LMC Launch Party - This has only just begun. There is a lot of work to still do! Over 30 people attended. The energy was great and it was so nice to have people thank you for wanting to help them and show them how collectively we will all work together to make Topeka even better! Now to find more sales people! At the party we announced that, TV25, Wren Digital, Metro Voice, Topeka Health & Wellness, Everything Topeka, The Topeka Newsletter, Gablocal, and Talk About Topeka will be working together to help any business in Topeka advertise! Top Tank Reveal - I was so excited when my friend Teresa asked me to help with the coat check! I rarely get to go to these events because they aren't in my budget, YET! I didn't really follow the process because our family had submitted a nomination and didn't make it to the first round. I wasn't shocked because I knew, they were looking for a business to use one of their buildings to add another business to downtown. Before we started the coat check gig, we were talking about who would win. I only knew one person personally that made the final cut! She was so excited and had a great business concept, well she still does! Her cakes are beautiful and I know one day she will get a store front. However, downtown Topeka is supposed to be the entertainment distict of Topeka! You start with building entertainment like, bars, restaurants, and activities. So when asked, I knew they would pick the beer. It just made sense to me. I wanted the cheesecake because we have NO cheesecake in Topeka but I knew that wouldn't survive alone! I wasn't shocked when The Brew Bank won the $100,000. I was excited that they wanted to give the cheesecake a chance with a $50,000 grant. The crowd was a collection of all different types of people! It is exciting to see our community working together to help grow small businesses! This won't be easy for either one of them! In order for Downtown to work, people need to get over their negative feelings and want to help make it work! Josie's Bakery - My goal this year is to visit 20 restaurants that I have not eaten at! I don't eat out much in Topeka because I like to cook but I am determined to accomplish this goal. My second place this year on my list. Why have I waited so long! The owners are great and nice. The store is very relaxing and cool. I tried a Monte Cristo! I will be back!! Talk About Topeka- We have been taking a hiatus to put together a newer version! May 1, 2018 you will see what we have been working on. Talk About Topeka isn't gone, it just going to get to the next level! Many of us take road travel for granted. We feel safe and secure inside our automobiles. We expect them to work correctly. We expect them to protect us. And while road travel is pretty uneventful most of the time, millions of people every year must deal with some sort of unfortunate road travel situation. From wrecks and car troubles, to natural disasters and weather-related headaches, here’s how you can avoid being an unhappy traveler. Nothing can turn a routine road trip into a nightmare faster than car trouble. Anyone who has experienced this knows the signs - the grinding of metal, smoke coming from the hood, sputtering, or the galloping thud of a flat tire. It’s no fun, but it does happen. There is a right way and wrong way to handle it, too. First, you should pull over as far as you can on the right shoulder (or the left if you’re on a multi-lane interstate). Don’t get out of the car just yet. Place your emergency call before you do anything else (either to AAA, 911, or a friend). After that, you need to make yourself and your car more visible to other motorists. Turn on your double flashers, pop your hood, and put out safety cones or triangles (which you should always have with you). Get out of your car and stand away from it - not in front of or behind it. You don’t want to be caught up in an all-too-frequent roadside sideswipe. Check out AAA’s great guide to this here. Being prepared is a good motto for almost everything in life, but when it comes to travel trouble it is oh so important. You must have a well-stocked car disaster kit with you whenever you travel. You never know when you could be stranded in your car due to a major weather event or natural disaster, an accident, or due to car trouble. Your kit should, at the very least, include a first aid kit, flashlights with extra batteries, some food and water, blankets, road flares, a lighter, and a crank radio. HomeAdvisor has a comprehensive kit walkthrough here. Inclement weather can throw a wrench into any trip. Road travelers often find themselves in the middle of thunderstorms, snow storms, or major ice events. If you encounter severe weather, the smartest thing to do is to turn on your brights and pull off the road. It’s best to get entirely off the roadway, but a shoulder will do if that’s all you have. Once you do this, turn on your flashers and stay in the car until the heavy rain passes. Driving through snow and ice is a little tricky, but it can be done if you know what you’re doing. Of course, if your car (or your driving skills) can’t handle the conditions, pull over. You should never over-correct a skid and if you feel your car barely sliding on the back end it’s best to take your foot off the gas and brake and try to let it correct itself. Beyond that, you can try steering into the slide, as Business Insider notes. As Safemotorist.com notes, being safe and alert is paramount to avoiding road travel mishaps. And you cannot be alert if you are tired. There’s this driving force behind most travelers to get where they’re going as fast as possible, but sometimes you just need to stop and take a break. Taking a short rest on longer road trips will not only recharge you but will give your car a break as well. Being a happy traveler is all about planning, preparation, and knowing what to do in even the most unlikely of scenarios. Make sure you have a car emergency kit at all times - this is the most important aspect of handling road travel mishaps. Beyond that, you should know your limits as a driver. It’s ok to stop and rest or let some bad weather pass. You’ll still get to your destination. There’s nothing so important that it can’t wait 10 minutes. Odds are you’re getting ready to get your taxes done. And while everybody makes mistakes, doing so on your tax return isn’t the time to make them. 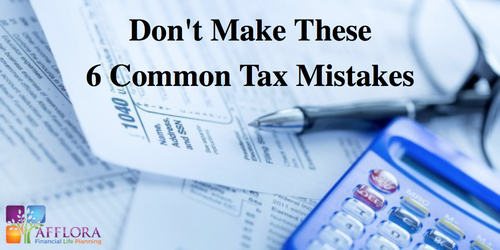 Here's 6 of the most common tax mistakes I see and how to avoid them. The problem with waiting until the last minute is if you run into issues completing your forms. Of course, you can always file for an extension (which will give you 6 months or until mid-October). 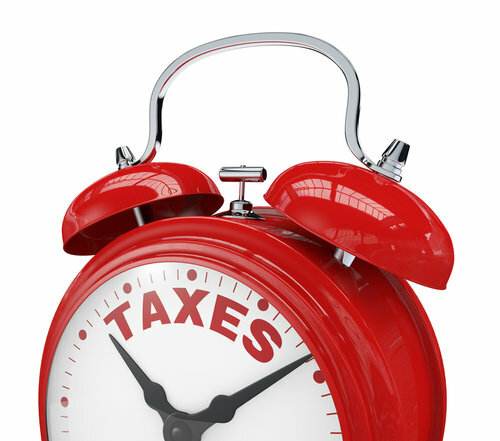 Keep in mind that even if you file an extension, you still must pay any taxes owed by the deadline. If you forget to so, the IRS will charge you interest. However, procrastinators…I have great news for you again this year. April 15th falls on a Sunday, and because Emancipation Day is celebrated by the IRS on Monday, April 16th, it pushes your due date to Tuesday, April 17th, 2018. When it comes to filing your taxes, the IRS gives you five options: single, married filing jointly, married filing separately, head of household, and qualifying widow(er). Make sure you choose the right one that fits your personal situation because it could make a big difference in your ultimate tax bill. That’s because the IRS applies different income tax rates and awards different standard deductions accordingly. The most common error on tax returns, year after year, is bad math. 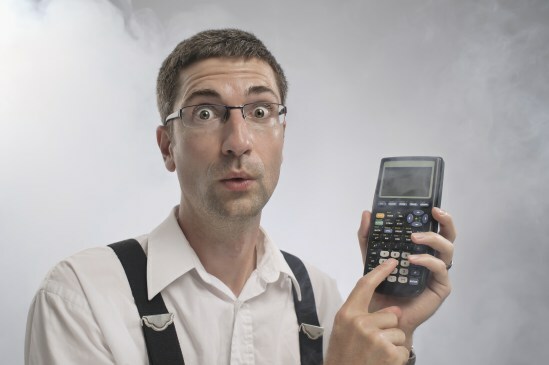 In 2014, the IRS reported that it caught 2.3 million math errors on 1.7 million tax returns in 2014. This is not surprising given the notoriously tricky formulas on tax forms i.e. “Add line 8 to line 32 and multiply by .356 if your AGI is greater than $50,000.” If you’re a DIYer, save yourself the headache and use tax preparation software that does the calculations for you like TurboTax or TaxAct. When IRS examiners find a discrepancy, they'll let you know and, in many cases, will correct your mistake and refigure your taxes for you. Don't give them the chance. Make sure your math entries are right. When it comes to donating to charity, make sure you follow the rules…and there’s lots of them. First off, verify that you’re giving to a qualified 501(c)3 tax-exempt organization, the IRS provides a helpful tool to do so. If your donation is under $250, the IRS will accept a cancelled check, bank statement, or receipt from the charity as documentation. However, if your donation is over $250, you’ll need written acknowledgment from the charity with specific details that can be found on the IRS website. Be careful that you aren’t exaggerating the fair market value on donated clothing and household items. Keep in mind that tax law requires these items to be in good or better condition or the deduction is disallowed. So, you bought a few shares of your favorite stock, and then you decide to sell it at a loss. Typically, you can deduct that loss against any other capital gains you made that year to lower your tax liability. But if you decided to buy more shares of that same stock 30 days after selling (or 30 days before selling), then the first sale is disregarded. It’s like you never sold the stock in the first place, and you won’t get the tax benefit. Working with a CERTIFIED FINANCIAL PLANNER™ professional (hey, that’s me) or your CPA can help provide guidance and prevent these issues. I'm going to make the assumption that you aren't trying to purposefully defraud the IRS here. Let's face it, we're all human and mistakes do occasionally happen. That might include forgetting about an investment account that paid dividends or interest on a 1099-INT or 1099-DIV or a side job as an consultant where you received a 1099-MISC. Sometimes, the tax documents just don't make it into the hands of the tax preparer due to getting loss in the clutter on your desk or they were mailed to an old address. Whatever the case, this is why it's so important to make sure you have all your tax documents before you begin. Think through all your income sources for the tax year and make sure you have a 1099 or W-2 for it. Failing to report income on your tax return could subject you to penalties and interest depending on when your oversight is discovered on the unreported earnings. If you notice the error before the IRS does, it's best to file an amendment using Form 1040X. Don't wait until the IRS contacts you. I saw this movie in 3D and it's probably one of the best 3D films I've seen. It was spectacular. The special effects were so tremendous. The acting was top-notch, especially the action scenes. Ryan Coogler was the director and directed a fantastic film. The scenes, the script, the acting, photography, sound, and everything else was just amazing. I highly recommend this for anyone 10 and older. I give it a perfect 4 out of 4 stars. I can't wait for the next installment. Stay til the end of the credits as usual in a Marvel film. It's a 2 1/2 hour movie but the time flew by. I can't believe it didn't receive more Oscar nominations. I gave it 4 out of 4 stars. Bad Movies Have are the bad movies of 2017! I’ve been in England for about three weeks visiting my sister, waiting on her to have her first baby. Her due date was last week but they had to schedule an induction for this week because the baby is being stubborn. In that time, though, my sister and I have been able to take a couple adventures together. My sister lives in Mildenhall which is a small parish town in Suffolk, England. In town there are cafes, groceries, a butcher, hair salons and much more, including the bus station. For £20 you can get a round trip ticket to many neat little towns where there is always something to do Cambridge there’s the University and shopping and Norwich there’s a castle and even more shopping. If they know how to do anything here it’s create an awesome shopping mall. The malls I’ve seen are both indoor and out, with so many shops you couldn't possibly enter them all in one day, you’d need like two weeks. It’s a good thing I’m here for awhile so I can really explore. Mildenhall is small and there isn’t much shopping but I found a sweet little cafe called Webbs Sandwich Bar and I’ve been there so many times I couldn’t count. The lattes and their fresh daily soup is always to die for. They announce their soup flavors early each morning on their Facebook and I’m usually checking as I’m waking up to see what will be concocted today. The first time I went it was a chicken curry and chickpea soup and today, I looked, it’s a Stilton, bacon and chicken soup. Their menu also has paninis, sandwiches, desserts and salads. I’ve tried a few sandwiches and they’re always good. I love the granary bread in this country, it doesn’t affect my stomach like the processed bread at home. Not only is Webbs a great place to check out, there’s another breakfast cafe around the town square called Crumbs Cafe and Food Bar. I got the English breakfast, which typically includes basted eggs, (you can order them scrambled but most places either do basted or scrambled and they’re usually pretty runny all the places I’ve been), bacon and/or sausage, tomatoes and/or mushrooms, beans and toast. The beans aren’t what you would be used to in the states when you get barbecue baked beans, but the consistency is the same. The flavor is sweeter but not smoky or barbecuey, but they’re good. The bacon is different here, too. It’s thicker cut and has extra meat on the strip as they don’t cut our the extra fat or the piece of meat that’s known as Canadian bacon in the states. That piece of meat is from the loin, or the back of the pig, whereas American bacon leaves that part out. I’m not sure if they cure it or not, but it doesn’t get that crispy texture, it’s more like ham texture. The flavor is always good, I enjoy it. Not too salty but still smoky. If you want to learn more, I found this Buzzfeed article explaining it, if not a little biasly, but I agree so check it out HERE. Angels Cafe is pretty good, too and while you can get an English breakfast there, I think they’re more popular for their humongous burritos, though. I haven’t gotten a burrito because they’re not my thing, but my sister and her friends always get them and usually can’t eat the entire thing. It’s usually good for two meals. They have breakfast burritos as well as lunch/dinner ones. It was the first place I went for an English breakfast, so that’s where I experimented with those. I’m sure that once my husband joins me I will give one a try. He’s way more into burritos than me. One of the things I found interesting about where I am in England is that you have to buy the jelly or jam if you want it for your toast. It usually comes in little glass jars that would be useful for 2-3 visits and the price is usually not bad, like 80 pence or so which is like $1.15. Usually in the states jelly, jam and honey are just given away with each meal, but not here. I’ve drank more coffee since I’ve been in England than I have in the past year and that’s because the coffee here is amazing. Usually, coffee at home tastes much stronger and makes my stomach upset. Here I can drink three lattes with no affect other than a huge boost of energy. I see a Starbucks on every other corner but wouldn’t be caught dead in one because why would you want that crap if you have so many other options? I was surprised to see so many Starbucks here, as well as KFC and McDonalds. My sister and her friends have taken me to Cambridge a couple of times as that is where they usually go on their outings when they go shopping or to see a movie. They usually go to the Grafton Centre which is an indoor/outdoor mall within walking distance of the University of Cambridge. The first time we went, we decided to walk around the universities and take pictures and just kind of see what it was about because I’ve heard about it, just never actually saw it. Now I have and I must say I enjoyed it a lot. The architecture is by far my favorite part because you can just see the history in the bricks. Walking around all these cities the buildings speak for themselves. There is a lot of new growth and buildings being built but then there are centuries old buildings standing right next to the new apartments and shops. After checking out Cambridge a few times, I was ready for something new. I planned on getting a bus ticket from Mildenhall to Norwich, a town closer to the coast, an hour Northeast of where I am. There wasn’t anything in particular I chose it for, other than the castle and cathedral there. I tried to find a city that I could take a bus, walk around for a few hours and not have to worry about any other transportation because I didn’t really want to spend my money on that. Turns our Norwich was the perfect place. My sister ended up joining me on my first trip to Norwich, so I didn’t end up needing to get a bus ticket, which would have only been £22 round trip with flexible ticket times. Usually, when riding the bus here they have an option for flexible scheduling in case you miss your bus or need to change it. I didn’t even need to use it, so that was a plus. I greatly enjoyed Norwich and ended up bringing my husband with me once he got to the UK. That day was a disaster! took us until 2 p.m. to get there when it should have only been an hour drive because people we abandoning their cars and driving like maniacs, and not in a good, fast way but in a slow, annoying way. After braving the highways, (where, yes we drove on the left), we finally got to Norwich and everything was closed. Including the castle we came to see. The cathedral was open, but not the cafe or any of the tourist attractions, just the actual cathedral, which was still pretty cool with the stained glass windows and high ceilings. I was glad we could at least do that while we were there because I knew we couldn’t come back. We walked around the town a little bit, but like I said, everything was closed and the streets were empty. The first time I had gone to Norwich it was packed and traffic was busy but this time it was like a ghost town. So much so that when I was looking for a parking garage I ended up reverting back to driving on the right and went the wrong way down a couple streets before realizing I was supposed to be on the left and was looking at the back of a stoplight. It was scary but also hilarious. I’m sure if there had been cars driving around I would not have done that, but with nobody around I also just didn’t know where I was going. Our trip to Norwich was an interesting one although maybe a little disappointing. I would definitely recommend checking it out if you’re ever in the area. The castle is small but there are art galleries inside and they’re working on renovating the basement so maybe when I come back I will get to see it. There are also gardens around the castle on the top of the hill where you can see the entire city. The day we went with all the snow was cool because so many locals were there making snowmen and snow forts and having snowball fights. They don’t get this and they were taking advantage of it while they could. The snow was melted after two days, too.